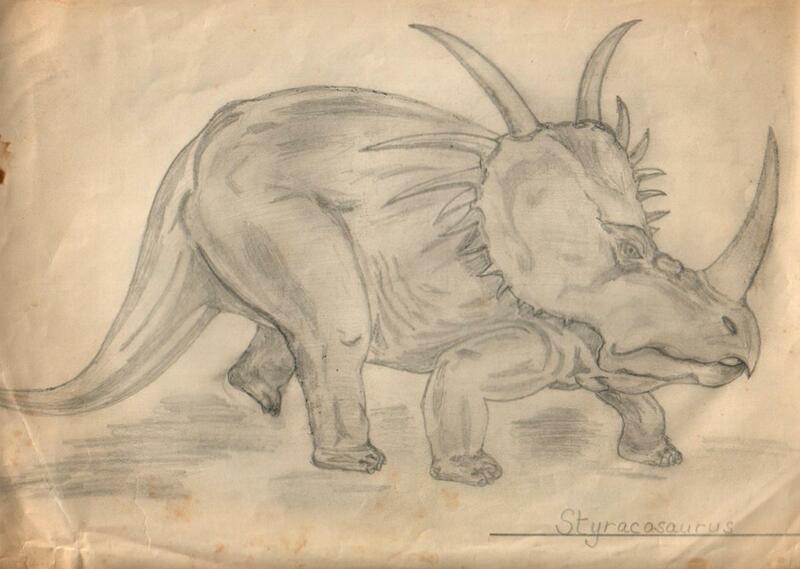 My Dad, Keith Taylor, had a nice eye for the line of these animals as they were presented in the books of the time. He drew a series of beautiful pictures of my favourites, of which four still survive. 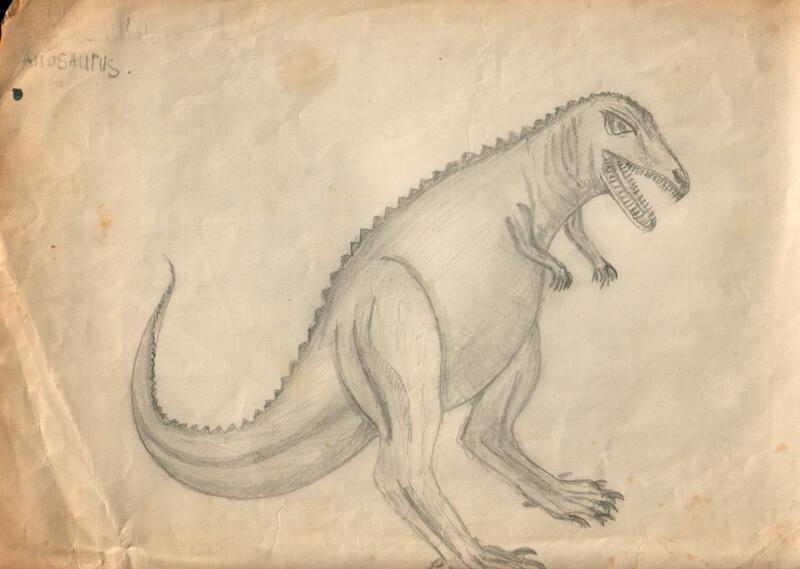 (I'm not absolutely sure whether there more, but I seem to remember a Tyrannosaurus which I would love to see again.) 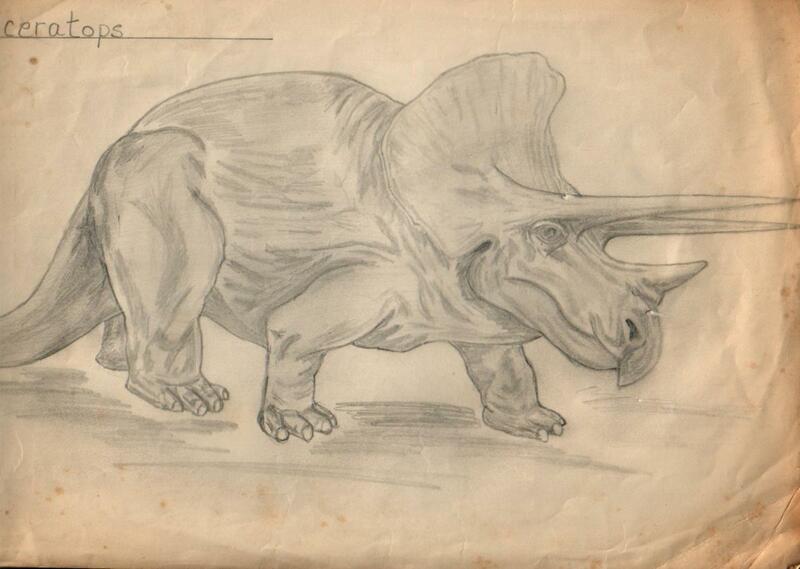 Inspired by his efforts, I also took a stab at drawing a dinosaur myself. 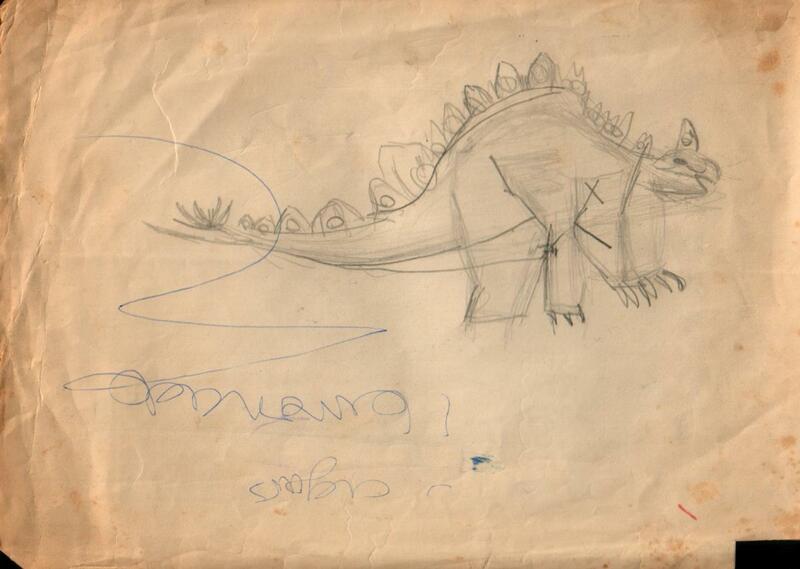 I think these were drawn when I was about seven or eight, which means they date from about 1975. But. You have to admit that it captures something essentially sauropodous that many more accurate pictures completely lack. 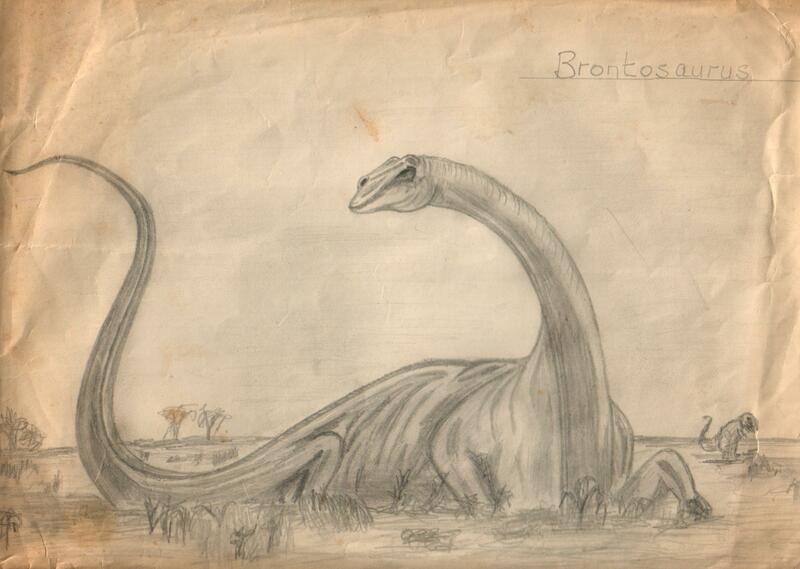 The very substance of brontosaurosity is captured on paper. I love this picture in a way I never could a modern restoration. Allosaurus. This may have rather more fingers and toes than are strictly called for, and metatarsals twice the length of the tibia, but I still wouldn't want to run into it in a dark alley. Stegosaurus. I believe that's a stray plate on its head rather than a horn.